This hair removal cream created by Dermology claims to not only remove hair, but to moisturize your skin. Helping to promote healthy skin is also something this hair removal cream may do. By adding key ingredients such as aloe vera gel, green tea extract, chamomile extract and mineral oil, Dermology experts have guaranteed that this formula will also moisturize and exfoliate the skin as it removes the hair. With the exceptional combination of moisturizing ingredients such as aloe vera gel and exfoliating ingredients such as vitamins, there is no doubt that Dermology Hair Removal Cream is indeed good for your skin. It will leave that silky smooth feel while promoting healthy skin. On the downside, it may cause an allergic reaction and might not be a successful way to remove hair. Users reported that a dark shadow of hair may appear on users with darker hair. This leads us to question the reliability of the product, as well as whether this would be a good option for hair removal. The patchy looking result that will occur if applied unevenly raises this same question. Why would there be a patchy look if all of the hair has been removed? Some users have reported wonderful results, while others have been highly dissatisfied. Results from Dermology Hair Removal Cream genuinely do vary from person to person, and, with the chance of an allergic reaction, it may be best to go with another hair removal cream if you have sensitive skin or darker colored hair. 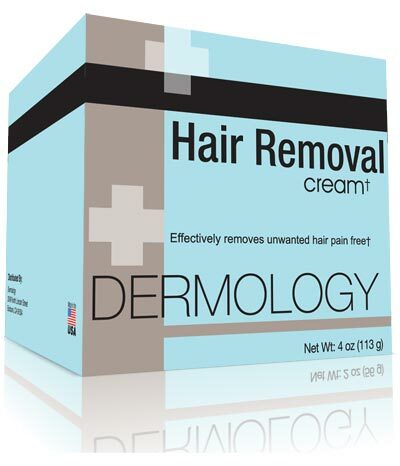 The price of Dermology Hair Removal Cream matches Revitol’s prices, but Dermology has far worse reviews, as well as customer complaints. On the other hand, with a money back guarantee, the customer has nothing to lose if they would like to test it out!